As I mentioned a couple of months ago, during the first week of June the NetSci conference took place. 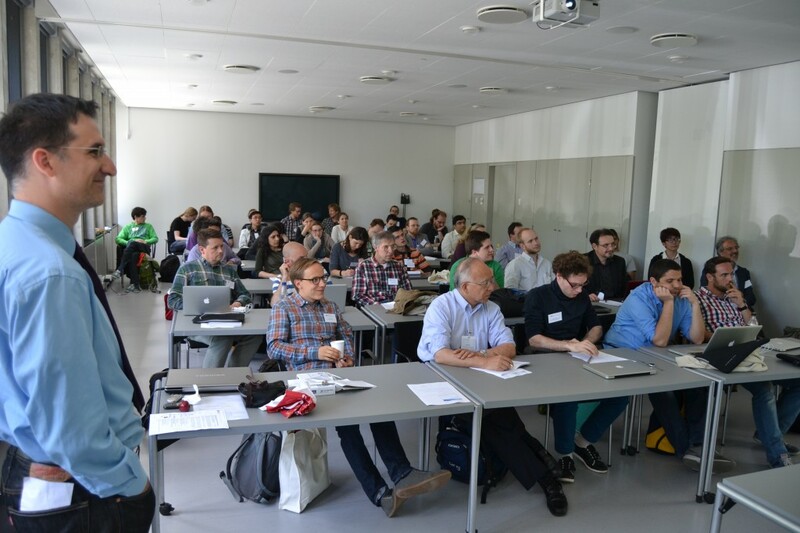 NetSci is the main venue that brings together all researchers interested and involved in network science. It has always been a gigantic opportunity to put you in contact with the big shots in network analysis and an excellent playground for very interesting discussions. This year was no different. Of course, for me the most important part of it was the very first day, when the satellite on multiple networks (organized by myself together with Matteo Magnani, Dino Pedreschi, Luca Rossi, Guido Caldarelli and Przemyslaw Kazienko) happened. As I wrote more than once in the past, multiple networks are networks in which the nodes may be connected with different kinds of interactions (friendship, collaboration, and so on). And we learnt how the properties of multiple networks arise when adding one network at a time (and you can too). But NetSci, of course, was much more than just this satellite. Another event you absolutely didn’t want to miss there was the Arts, Humanities and Complex Networks Symposium, organized by Max Schich and Isabel Meirelles. And the hilarious ignite talks, 5 minutes and 20 slides for each speaker. There was no possibility of interacting, with the presentation automatically jumping to the next slide every 15 seconds. Next year I definitely want to try to do one too. And, of course, many other things. But you get the idea: blog posts about it are boring, you really have to experience it yourself.